We all make choices every day about which shoes to wear, but why do we choose the shoes we do? 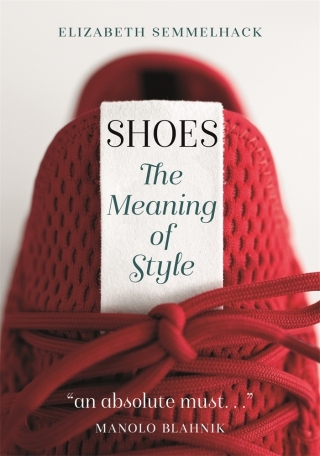 Shoes: The Meaning of Style explores the history of shoes and how different types of footwear have come to mean different things about the people who wear them. Organized around four main types – boots, sneakers, high heels and sandals – this book explains their origins, the impact of technology on how shoes are produced and worn, their designs and how they have come to have social meaning far beyond their use to protect the foot. Along the way Elizabeth Semmelhack reveals the anecdotes and scandals, successes and failures, dislikes and obsessions of the makers, wearers and observers who helped to create the movements and fashions of footwear. Beautifully illustrated throughout, Shoes is a thoroughly surprising history of an everyday item. It will appeal not only to followers of fashion, but to those interested in social history and identity. Elizabeth Semmelhack is Senior Curator of the Bata Shoe Museum, Toronto. She is the author of Out of the Box: The Rise of Sneaker Culture (2015) and Heights of Fashion: A History of the Elevated Shoe (2008).